The Belgian search for the next EEPA winners has begun! 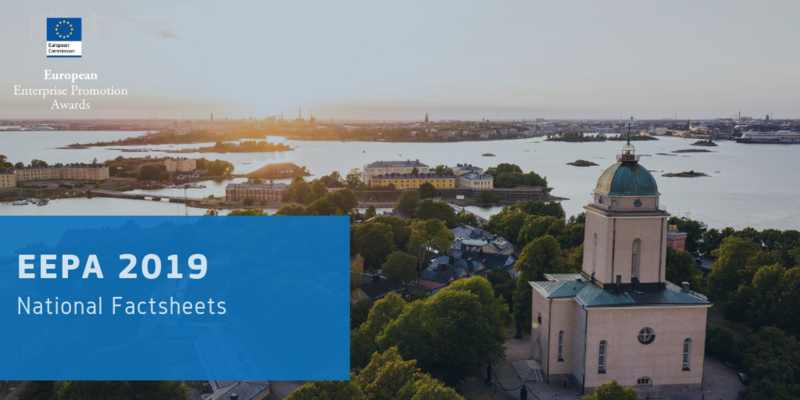 The European Enterprise Promotion Awards (EEPA) 2019 have opened across Europe and national competitions are well underway. Today on Promoting Enterprise we are having a look at one specific country, Belgium. Belgium has been an active EEPA participant since 2006, submitting many projects at both national and European level. In its first EEPA year, Belgium won the Investing in entrepreneurial skills category with Fondation pour la Recherche et l’Enseignement de l’Esprit d’Entreprendre (FREE) and went on to win the same category the following year (2007) with Cap’Ten, sois capitaine de ton projet. The next win for Belgium came in 2013 when Starterscontracten voor Ondernemers won the Improving the business environment category. In addition to three European level wins, Belgium has also been nominated by the EEPA Jury on four occasions for the European shortlist. This year Belgian EEPA candidates will have until Thursday 9 May 2019 to submit their projects to be considered for the 2019 national competition. For more information on the Belgian EEPA 2019 competition, read the flyer in FR and NL, or visit the FR and NL websites. For specific questions, please contact the Belgian EEPA National Coordinator. The European Enterprise Promotion Awards (EEPA) celebrate the best of Europe and allow for the diversity of enterprise and entrepreneurial support schemes across the EU to shine through. As such, each country has its own deadlines and variations for its national competition, all of which is coordinated by a designated national coordinator. In order to understand the EEPA 2019 requirements in your country you will need to have a look at your national factsheets. Each factsheet (available in your national language) gives a breakdown and explanation of the six active competition categories, as well as the Grand Jury Prize. You can also find the central European Commission website for EEPA related information, as well as all of the specific contact information for your National Coordinator, including their email address and your national EEPA website. Have a look at your national factsheet, get in touch with your National Coordinator and prepare your EEPA 2019 application today! For further support and information contact the EEPA Secretariat and the EEPA Communications Team. EEPA 2019 FAQ: What categories can I apply for? 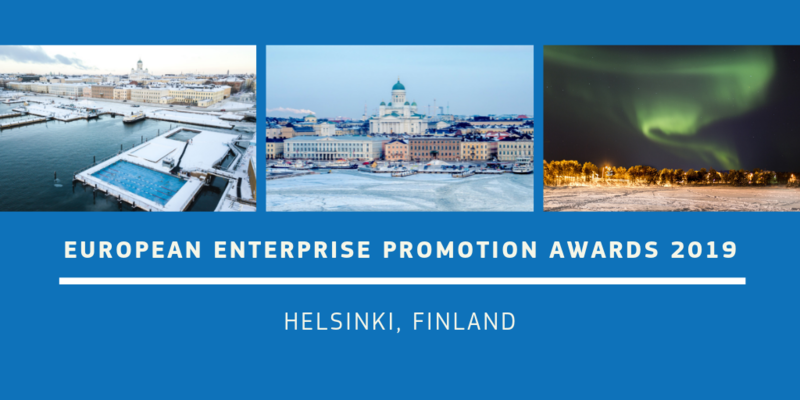 Thinking about applying for the European Enterprise Promotion Awards (EEPA) 2019? The first thing you should do is get in touch with your 2019 EEPA National Coordinator to find out about your national competition and for all the details regarding the 2019 entry criteria. What about all the different categories, do you know what criteria apply? Where does your project fit best? Today on Promoting Enterprise we will take you through each category and have a look at some past winners to inspire your 2019 entries. The Grand Jury Prize is awarded to the best overall project for the EEPA cycle that year. This prize is not dependant on category and goes to outstanding projects that are recognised on a higher level than in the category they entered. Projects in this category are recognised for their initiatives that promote an entrepreneurial mind-set, especially among young people and women. Projects entering this category should possess initiatives that improve entrepreneurial and managerial skills. This category focuses on initiatives that support enterprise start-up and growth, and simplify both legislative and administrative procedures for businesses. This category includes an international perspective, and should be considered by projects that encourage enterprises and particularly small and medium-sized businesses to benefit more from the opportunities offered by markets, both inside and outside the EU. After a temporary suspension in 2017, this category came back in 2018 looking for initiatives that support SME access to green markets and help to improve their resource efficiency through, for example, green skills development and matchmaking, as well as funding. The final EEPA category is for projects that promote corporate social responsibility among small and medium-sized enterprises and entrepreneurship among disadvantaged groups such as the unemployed, legal migrants, disabled, or people from ethnic minorities. 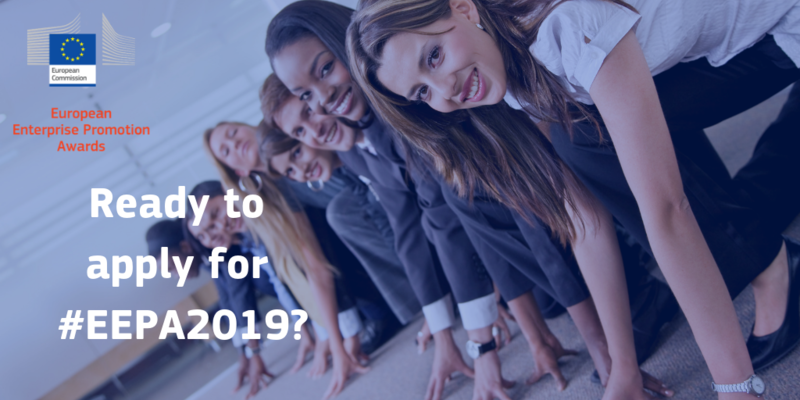 Don’t forget to direct all of your EEPA 2019 questions to your National Coordinators and to the EEPA Secretariat and best of luck with your applications. With the European Enterprise Promotion Awards (EEPA) officially launched for 2019 it is time to get to know the important people that run the national awards in each country…your National Coordinators! National Coordinators ensure that the national EEPA competitions run smoothly and that all applicants are supported throughout the competition process. They also have the very important role of nominating the two lucky projects that will represent their country at the European level of the EEPA competition. If you are considering applying for EEPA 2019 then be sure to get in touch with your National Coordinator as soon as possible and make your application as strong as possible. Find all of the contact details for the 2019 National Coordinators below and don’t hesitate to contact the EEPA Secretariat for more information. Find out more about EEPA participation and the national competitions for 2019 here. Keep coming back to the News Portal every week for the latest EEPA 2019 information as well as the freshest updates from the worlds of entrepreneurship and enterprise.